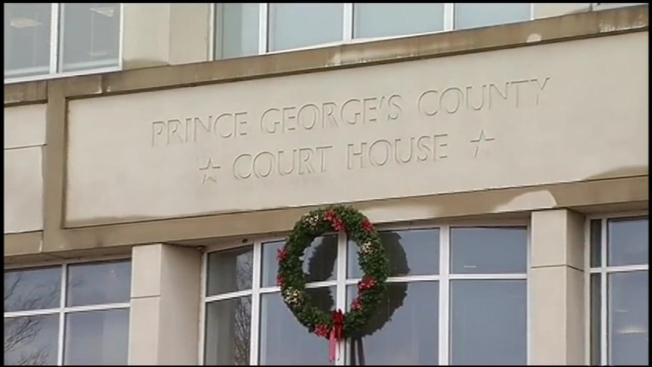 A Prince George's County police officer was found guilty of pointing a gun at the head of a Bowie, Maryland, man. Officer Jenchesky Santiago was found guilty Wednesday of first and second-degree assault, misconduct in office and the use of a firearm in the commission of a crime of violence. In his opening statement, Santiago's attorney said, "I don't believe my client is a good police officer or demonstrated good police work, but I also don't believe he is a criminal." Prince George's County Police Chief Mark Magaw condemned Santiago's actions in a post on the department's website. "The actions Officer Santiago chose to take that day are his alone. His behavior is flagrant, appalling and isolated," Magaw said. Santiago will be sentenced Jan. 8. He faces up to 45 years in prison. Magaw said he'll recommend that Santiago be fired, but there is a process they must follow.